"Ik werd verliefd op Cambridge en de school was niet zo slecht." Als u wilt uw taal om studie te combineren met andere actieven, is de standaard 20 cursus het ideale programma voor u. In de standaard 20 cursus, kunnen studenten bestuderen taal combineren met andere spannende activiteiten op het gebied. De cursus bestaat uit 20 lessen per week, meestal in de ochtend, waar studenten zich op communicatievaardigheden in alledaagse situaties richten. De lessen omvatten grammatica, woordenschat, uitspraak en vaardigheden praktijk in spreken, luisteren, lezen en schrijven. Een breed scala aan materialen en oefeningen worden gebruikt met inbegrip van rollenspel, opgenomen materiaal, Kranten en tijdschriften. Wanneer klassen voltooid zijn, studenten kunnen vervolgens de middag te gebruiken om te verkennen hun omgeving of deelnemen aan schoolactiviteiten met andere studenten. Select English was first established in 1991. We are committed to providing high quality, personalized teaching that helps our students achieve their Learning Goals. 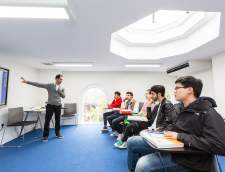 As a small, family-run school, we treat all of our International Students as individuals and offer a friendly, stimulating, supportive and inclusive environment to help you at every stage of your learning. We believe studying English language courses in Cambridge with us is a unique experience. Cambridge itself is an exceptional place to study, as a city rich with culture and beautiful Universities which inspire English Learning. Select English Cambridge offer IELTS English Language courses, alongside many courses throughout the year. As well as our permanent school buildings in the city, we also have summer courses in boarding schools outside Cambridge. Select English Cambridge is accredited by the British Council and the ISI. Our highly qualified teaching team are committed to providing an excellent standard of teaching, while our dedicated Accommodation Officer, Welfare Responsible and 24-hour emergency phone service ensure that the welfare of our students is a top priority. We enjoy a spacious campus comprising 4 beautiful buildings with well-kept gardens at the rear. Students benefit from a common room, free wi-fi, and a computer room. There are social activities every week on our year-round courses, while our summer courses include a very busy and exciting social programme. "korte maar leuke leerervaring. " "Niet genoeg teatcher een klasse zijn volledige"
EC Cambridge is een van de weinige taalscholen in het hart van de stad. De school is gevestigd in een zeer modern gebouw naast een van de belangrijkste winkelgebieden van Cambridge. Centruminformatie: Gelanceerd: 2004, Centrumcapaciteit: 203, Klaslokalen: 14, Minimale leeftijd: 16, Studenten per klas: Gemiddeld 12 (Max 14) School is inclusief: 20 met internet verbonden computers, gratis draadloos internet in het hele centrum, bibliotheek Zelfstudieruimte, studentenlounge. 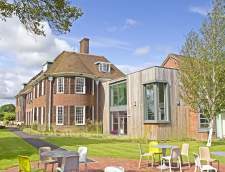 Kaplan International College Cambridge biedt een rustige studieomgeving met gemakkelijke toegang tot de attracties van het centrum van Cambridge. Het college is lang een favoriete bestemming van de taal geweest studenten van over de hele wereld. Op minder dan 1 uur van Londen, combineert deze beroemde stad de rustige schoonheid van de universiteit met een druk stadscentrum met een scala aan winkels, pubs en eersteklas restaurants. Het heeft ook een levendige kunstscène met een verscheidenheid aan theaters, concerten en tentoonstellingen. Opgericht in de late jaren 1970, is het college gevestigd in een groot, omgebouwd Edwardiaans huis met een moderne uitbreiding. Het college ligt ten westen van het stadscentrum in de rustige woonwijk Newnham, op 10 minuten rijden met de bus van het centrum. Het college heeft zijn eigen tuinen waar we barbecues houden op warme zomeravonden. Learn English & live in your private teacher's home around Cambridge with Home Language International! Home Language International (HLI) is a family-run business offering language courses in more than 20 languages in over 30 countries worldwide, including English lessons at an experienced private teacher's home in UK. More than 5,000 students take advantage of our services every year. Ian Josephs, Danielle Josephs, their 5 adult children and an expert team of dedicated staff all put in very long hours for HLI. You stay in an experienced teacher's family home, have one-to-one English lessons and then continue to use the language during the rest of your stay in Cambridge. Because you are the only student, you are guaranteed individual attention. The lessons are completely designed for you, so the teacher will focus exactly on what you need. Mealtime conversation, television and social contacts are all in English. All of our teachers in UK have a university degree (or equivalent) and/or a recognised teaching certificate. All teachers have been visited by one of our local organisers. Their qualifications have been checked and their homes throughly inspected. During your stay in Cambridge, a local organiser will monitor your progress and make sure your experience is both happy and successful. Home Language International (HLI) is accredited by the Accreditation Body for Language Services (ABLS), Association of Language Travel Organisations (ALTO), and UNOSEL. Cambridge, with its historic atmosphere and world-renowned status as a cradle of learning, is home to students from all over the world. Eurocentres Cambridge is located only minutes away from the city centre and Cambridge University’s colleges. The school has a unique design and overlooks the University Botanical Gardens. You can travel easily on foot or by bike, quickly reaching restaurants, theatres and shopping malls. Cambridge is perfect for those who feel comfortable in tranquil , small towns, love history and enjoy get-togethers with their student friends at a friendly pub. Choose Bell and benefit from over 60 years of educational expertise. We only employ the best teachers. Bell experts give talks at industry-leading teaching events, with eight Bell speakers at IALTEFL UK in 2017. Our Head of Teacher Development gives talks for Cambridge English, part of the University of Cambridge. 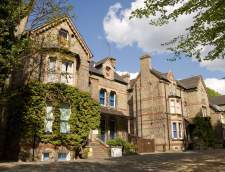 Our historic school is located in picturesque gardens within easy reach of Cambridge city centre. We have a wide range of impressive facilities from modern learning areas, to social, dining and leisure spaces. Learning facilities; 30 contemporary air-conditioned classrooms with interactive whiteboards lecture theatre science laboratory learning centre equipped with the latest resources 2 computer rooms Dining room; Bright and spacious dining room, with indoor and outdoor seating. Hot and cold breakfast and lunches, vegetarian and halal options, fruit and sweet treats. Open from 08.00-17.00 Monday-Friday. 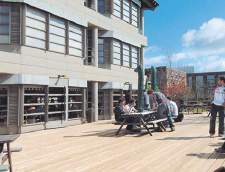 Student common room; Modern student pavilion featuring table tennis, computer games, pool table and a TV. ll our young learner courses have tuition, activities, trips, on-site accommodation and meals included. On a Bell course, students will not only improve their English, they will develop life skills such as confidence, responsibility, respect and teamwork, establishing their route to a rewarding future. Students will live and learn in the safe and secure environment of the Leys School, one of the most prestigious private schools in Cambridge. Students will be cared for throughout their stay with us by our dedicated team of houseparents, activity leaders and teachers. In the classroom, students will benefit from over 60 years of educational expertise, which shapes the lessons that are delivered by qualified and experienced teachers. Hughes Hall was founded in 1885 it is part of the Victorian colleges and it pioneered university education for women. Hughes Hall is known for its friendly atmosphere, which reflects in its history and traditions. 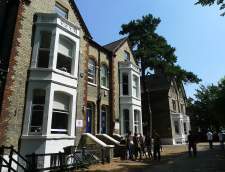 The college is a short walk from central Cambridge allowing students the unique experience of being immersed into the life of Cambridge students! Regent Cambridge is within a historic Victorian building that has been renovated this year to provide modern facilities such as interactive projectors, computer rooms, reading lounge, and a grass garden. Regent Cambridge has been inspected by ISI and the British Council this year and has received outstanding reports. The proximity to one of the world's top universities, the University of Cambridge, provides students an opportunity to join university societies and participate in local sports activities such as tennis, swimming, and horse riding.
" Het is de meest fantastische kamp die ik ooit geweest "
"Het was geweldig en thats it!" Studio Cambridge is one of the longest-established English schools in Britain, we have been part of Cambridge's Education scene since 1954. 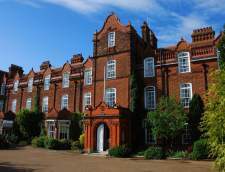 Our main school is located in impressive 19th-century buildings belonging to Cambridge University. 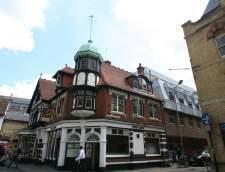 It is in easy walking distance to the center of Cambridge and the main railway station, from where there frequent direct train services to London. We adapt our teaching to the needs and learning styles of our students, following three guiding principles: -The teaching will be balanced with practice - you will learn and practice English, with an emphasis on speaking. -Lessons will be centered around you-you will not spend all your time listening to the teacher but will be busy using English in the classroom. -The language we teach will be recycled - we will not allow you to forget what you have learned! We look forward to welcoming you to this beautiful, historic city and helping you to learn English. Central Language School was founded by Christians in 1996. Student from over 90 countries have studied at the School. We are located in the city centre, accredited by the British Council, and we offer small classes for adults in a caring, friendly atmosphere. Students often comment that we become like a family for them. You will be placed in a class according to your grammar level, speaking ability and personal aims. You will study English through a variety of topic areas with an emphasis on spoken communication. There are many opportunities for you to practise your speaking and listening as well as your pronunciation, vocabulary, reading, grammar and writing. Our classrooms are located on the first and second floors of 'The Stone Yard Centre'. Classrooms are equipped with interactive whiteboards, and there is a small library at the school where students can borrow books. We have computers and a printer for students to use, as well as free wifi. In our common room on the first floor, students and staff enjoy chatting together during the morning coffee break and at lunchtime. Students can buy drinks and biscuits, and there is a fridge and microwaves for students to use. Information about excursions and activities in and around Cambridge is on display. 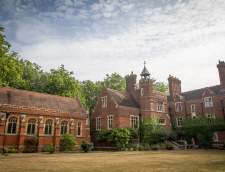 Sir Christopher is based at Ridley Hall, an independent college affiliated with Cambridge University, and Newnham College, part of Cambridge University. Both colleges look and feel like the perfect Cambridge campus: the traditional buildings and impressive dining halls are surrounded by green lawns and private gardens. The course combines 20 or 28 lessons per week with social, cultural and sporting activities, with one excursion per week. 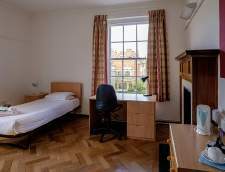 Accommodation on campus in residential accommodation is included, together with all meals, transfers to/from the airport (Heathrow or Stansted) on Sundays. There is also the opportunity to take the IELTS examination at additional cost if required. EXPLORE Cambridge •Welcoming mid-sized school in a convenient location •Experience life in a historic university city •Our newest school- completely refurbished for 2018! 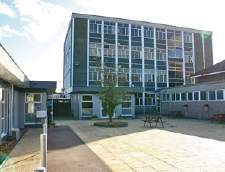 The school is based in a traditional building and an update is planned which will bring the old and new together by keeping the historical architecture of the building, whilst also creating modern and well-equipped classrooms. This blend of the old and the new continues in the city - alongside beautiful historic buildings, you'll find a thoroughly modern city with a vibrant international feel, a thriving cultural scene and some great shopping and restaurants! Thanks to the city's compact size, all accommodation options are within easy reach of the school. Trains to London only take an hour, and with such excellent transport links, Cambridge is an ideal base from which to explore more of the UK. 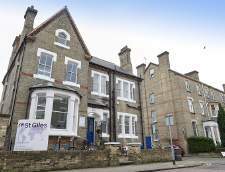 If you want to learn English in Cambridge or if you need some more information on any of the courses available, contact St Giles Cambridge. Founded in 1596, Sidney Sussex is a college of the University of Cambridge and is located in the very heart of this traditional English city. "Bedankt voor de geweldige ervaring!" 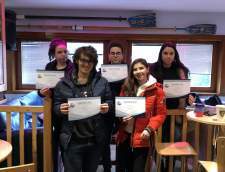 "Mijn leven in Cambridge Melchior College"
Cambridge Melchior College offers preparation for internationally recognised qualifications and innovative College-devised programmes such as the Erasmus Experience Programme and our extensive range of summer camp programmes. Our programmes provide students with the opportunity to: - experience teaching, learning and assessment in a British context. - develop a more sophisticated understanding and appreciation of British and European culture. - immerse themselves in speaking English to improve their knowledge, competence and confidence in their spoken and written English. - improve their progression opportunities to school, college, university and/or employment. Cambridge Melchior College and its precursor organisations have been delivering a wide range of cultural exchange programmes since 2010 and has considerable experience of working with international students. Our students come wide range of countries around the world including: China, Russia, Spain, Italy, Estonia, Brazil, Latvia, and Germany. Our location offers our students the peace, space and security of a country location with the internationally renowned university city of Cambridge, a short journey on the innovative Cambridge Guided Bus away. We also provide transport for our students. 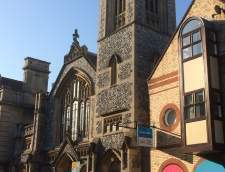 Cambridge Melchior College's main campus is in the heart of Willingham, an historic location, near to the centre of Cambridge. 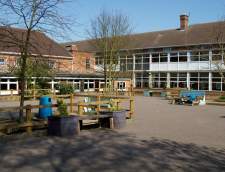 The village has a range of facilities including a primary school, library, surgery, post office café, baker’s shop, a supermarket and a sports pavilion. The college occupies a large country house set in 3 hectares of beautiful landscaped gardens. CMC offers campus accommodation, in bright, modern twin rooms each of which has an en-suite bathroom. Students may also choose to stay with friendly local host families situated within walking distance of the college. Each family is vetted by us to provide a safe, welcoming and homely environment. 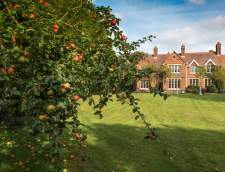 Lessons take place in large airy classrooms many of which have views over our beautiful gardens. Students also have free unlimited use of Wi-Fi throughout the College. We have a range of staff on-site to support students. Our team of qualified teachers have over 20 years of experience, working with international schools. They are passionate about education and facilitating student success. Students will be taught in small groups (maximum of 15). "mijn ervaring is zeer nuttig geweest en ik denk dat ik kom terug volgende zomer." EC Cambridge is een van de weinige taalscholen in het hart van de stad. De school is gevestigd in een zeer modern gebouw naast een van de belangrijkste winkelgebieden van Cambridge. Centruminformatie: Gelanceerd: 2004, Centrumcapaciteit: 203, Klaslokalen: 14, Minimale leeftijd: 16, Studenten per klas: Gemiddeld 12 (Max 14) School is inclusief: 20 met internet verbonden computers, gratis draadloos internet in het hele centrum, bibliotheek, zelfstudieruimte, studentenlounge. Embassy heeft meer dan een half miljoen studenten geholpen om Engels te leren. Sommigen hadden het nodig voor hun werk, sommigen voor hun studie. Anderen hielden gewoon van de taal. Maar ze hadden allemaal één ding gemeen: ze dompelden zich onder in een Engelssprekend land en leerden veel meer dan alleen grammatica! Je vindt ambassadescholen in Amerika, het Verenigd Koninkrijk, Australië en Nieuw-Zeeland. We bieden de cursussen die u nodig hebt, van een korte 'top-up' van uw taalvaardigheden tot een intensieve examengerichte klas. We maken onze lessen leuk, omdat we geloven dat wanneer je plezier hebt, je nog meer leert. Onze leraren zijn allemaal gekwalificeerde, ervaren professionals die verschillende technieken in de klas gebruiken: het ene moment doe je misschien groepsdiscussies, het andere moment, in paren of individueel. Onze studenten komen van over de hele wereld - je zult de kans krijgen om vrienden te ontmoeten en te ontmoeten met mensen uit verschillende culturen, die allemaal de gemeenschappelijke taal van het Engels spreken. Onze Cambridge Summer School is het hele jaar door internationale school Bellerbys College. De campus ligt in het noorden van de stad in een rustige woonwijk. Klaslokalen, accommodatie, sportfaciliteiten en eetzaal bevinden zich allemaal op één site. World class University City, Cambridge has the edge when it comes to beauty, history and culture. This elegant yet compact city boasts spectacular architecture in the shape of colleges, chapels, churches and courtyards combined with green parks, wide open spaces and the River Cam, which winds through its heart. Stafford House Cambridge is located in the heart of the storied city. The school’s modern classrooms, canteen and student access centre in the old city are just steps away from the most famous colleges in the world. Students in Cambridge love taking advantage of the unique activities that make this corner of the UK famous: punting on the river Cam, tours of St John’s College, Evensong at King’s College Chapel, and exploring the theatres and boutiques in the city centre. CATS College Cambridge is a leading sixth form college located in brand new facilities in the heart of the academic city of Cambridge. The world famous Colleges of King’s and Trinity are only a short walk away along the peaceful banks of the River Cam. At Oxford Summer Courses, we believe in the best. The best teachers, the best setting and the best experiences. If you want summer 2018 to stick in your mind – while stretching and strengthening it– you’ve come to the right place. We are both Oxford alumni. We set up Oxford Summer Courses because we’re passionate about the University and the city – and we’re determined to share the magic of Oxford with the world. We’re proud to have teamed up with Cambridge in 2017, uniting the world renowned “Oxbridge” duo. While we’re not part of the University, Oxford is at the heart of everything we do. It shapes what we teach, how we go about it, and where. 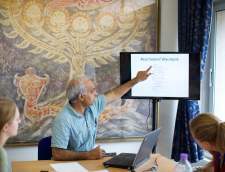 Study with us and you’ll be taught by Oxford academics. You’ll live in Oxford college accommodation. And you’ll experience the world renowned Oxford tutorial system. What’s different about Oxford Summer Courses is that we don’t go in for large classes and big groups. Tutorials are what Oxford is built on and they’re what we’re committed to. Our tutors dedicate their lives to researching and teaching but during the summer they love to share their passion with students who want to find out more about their subject. It’s not all work, though. You’ll have time to meet like-minded students as you punt down the River Isis or take in the sights of the ancient city. We eat out in our favourite restaurants every evening (except for Friday’s formal banquet in the college dining hall) so by the time you leave, you’ll know all about the best the city has to offer. Beyond the city you’ll call your home, we take trips to Shakespeare plays, English castles and museums as well as music at the Royal Albert Hall. We founded Oxford Summer Courses in 2010 because we love Oxford and the social and academic adventure it brings. We have grown from a small organisation to a BAC accredited provider of short courses. Across seven summers we have welcomed over 1,500 students from across the globe. Many of our former students now study the subject they read at Oxford Summer Courses at British Universities, including Oxford and Cambridge. There are lots of summer schools in Oxford but we believe ours is the best because we are former Oxford students who intimately know the city, the University and what it really means to be a student in Oxford. We want to share our knowledge and experience with you – so join us, and make summer 2018 unforgettable. Naar wat voor soort taalcursus Engels bent u op zoek? Of u nu een student, zakenman of reiziger bent, er is een taalcursus in Cambridge wat bij u past. Er zijn talencursussen beschikbaar voor alle spreekvaardigheid niveaus, leeftijden en duur. Kies een cursustype uit onderstaande lijst om te beginnen. Algemene cursussen Engels zijn voor volwassenen die hun spreek-, luister-, lees- en schrijfvaardigheid in het Engels willen verbeteren. Meeste taalcursussen zijn voor volwassenen van 16 jaar en ouder. 2 - 48 week taalcursussen verkrijgbaar. Meeste intensieve cursussen in Cambridge hebben gemiddeld 30 lessen per week. Deze zomercursussen Engels zijn ideaal voor kinderen tussen 4 tot 12 en tieners tussen 13 en 18 jaar die in de zomer Engels willen studeren. 4 - 8 week zomercursussen verkrijgbaar van juni tot augustus. Examenvoorbereidingscursussen Engels zijn voor studenten die zich willen voorbereiden op vaardigheidstoetsen Engels om hun kansen op een baan te verbeteren of voor toelating tot een universiteit. Eén-op-één lessen zakelijk Engels zijn voor businessmanagers en professionals die zo snel mogelijk Engels willen leren met aangepaste lessen en een eigen leraar Engels. Lerarenopleidingen Engels zijn voor leerkrachten die geïnteresseerd zijn in lesgeven in het Engels in het buitenland. Er is wereldwijd enorme vraag naar gekwalificeerde leraren Engels met vacatures in bijna elk land. Cursussen professioneel Engels zijn voor professionals die Engels willen studeren op een bepaald gebied, zoals bedrijfskunde, geneeskunde, rechten, luchtvaart, en horeca. Werk-studieprogramma's zijn voor volwassenen die Engels willen leren en tegelijk professionele werkervaring op willen doen. Interessecursussen Engels zijn voor degenen die Engels willen studeren en deel willen nemen aan activiteiten zoals sport, kunst, eten en nog veel meer.